I love Scholastic Book Orders. I especially LOVE Scholastic Bonus Points. 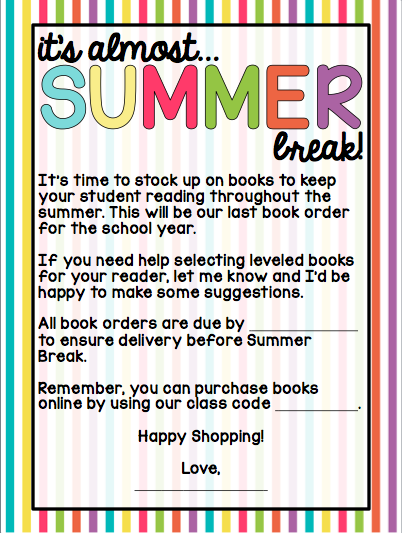 As we wrap up the school year I always like to remind parents that this is the LAST time they can order books for their kiddos. This helps to drive sales and earns me more points to do some summer shopping. 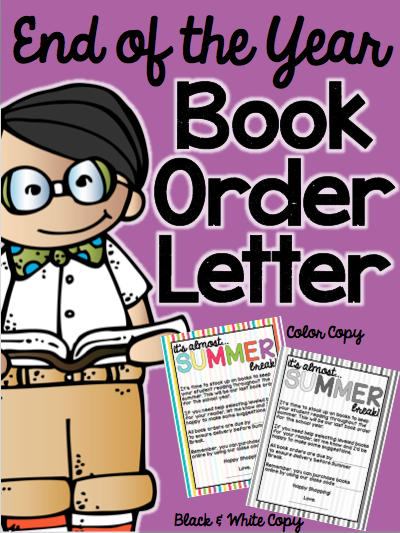 I usually send home 3-4 Book Order Catalogs at the beginning of the last month of school with a parent letter. Want to download my FREE parent letter? Head on over to my Teachers Pay Teachers store to grab this FREEBIE today.